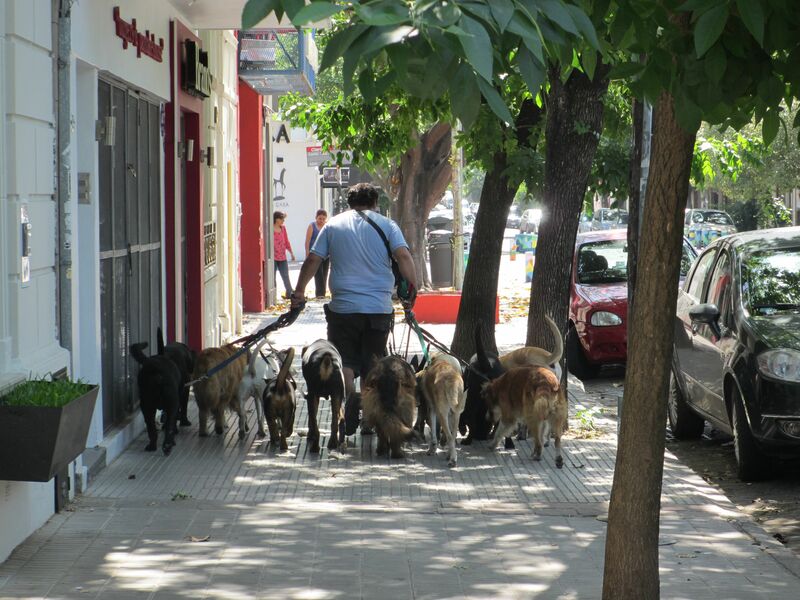 I’ve seen a few of these dog-walker guys. Or maybe its the same guy? Anyway, I find it entertaining, he has at least 12 dogs! However, what is not entertaining is that I saw too of these dogs do “number 2” and the guy didn’t clean up after them, and they are big dogs, so those were two big hot messes (grandes líos caliente!) they left behind! I am not sure if it is law here in B.A. to clean up after your dog, but I can tell you that if it is that many do not and you need to watch where you step! This entry was posted in Buenos Aires and tagged big hot mess, Buenos Aires. Bookmark the permalink.